The 1966 Aston Martin DB6 was professionally repainted in silver that looks like liquid. The rear suspension of the DB6 uses helical coil springs with ride control, adjustable from inside the car. One of Ottawa’s highly skilled surgeons has a disease—one that afflicts many men his age. And Hassan Moghadam’s symptoms include uncontrollable urges to buy rare automobiles, show them to the public, use them to raise money for charity, and amass them in collections to be lovingly adored and driven sparingly. Hassan is an oral and maxillofacial surgeon who works at The Ottawa Hospital, The Montfort Hospital, and Argyle Associates, and he teaches at McGill and U of Ottawa. 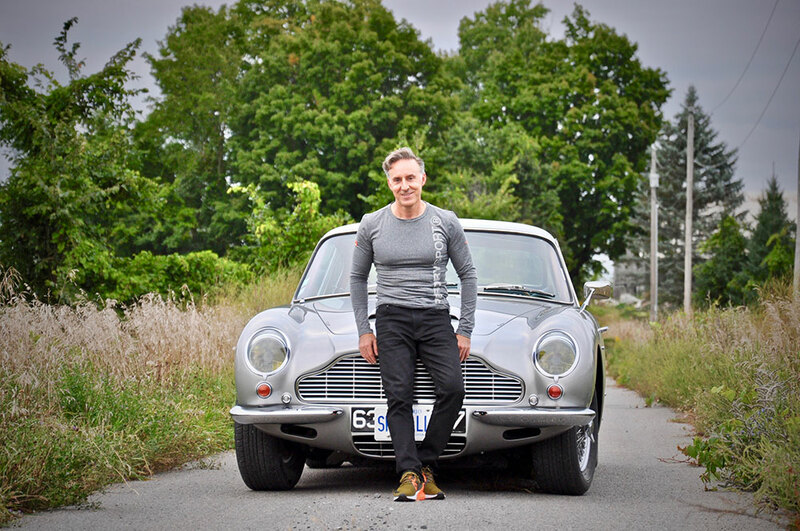 He never imagined he would end up being the steward of some of the finest vehicles on earth when the Iranian arrived in Canada in 1976 at age six, first living on a farm near Drummondville, QC, and later hating school so much he would get kicked out in Grade 8. Earning $5 per hour sweeping floors at a grocery store, Hassan soon learned that if he didn’t get an education and choose to work hard, he could end up bagging groceries for life. 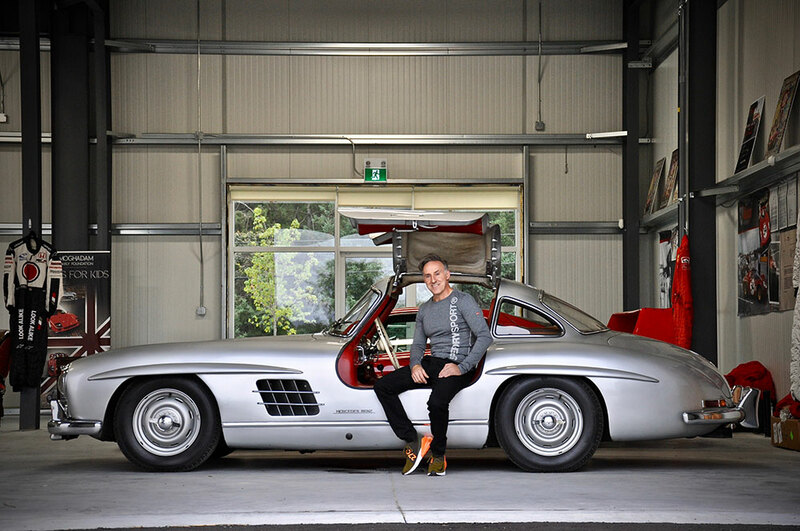 Hassan acquired his 1956 Mercedes-Benz 300SL Gullwing Coupe by jumping on an eBay listing in 2012 that turned out to be a genuine example of the rare car, and it was only an hour east of Ottawa. Always mechanically inclined, Hassan won a Grade 11 science fair for a mechanical arm he made in his parents’ basement. Inspired, he later enrolled in McGill’s dentistry program, graduated, and eventually earned a Masters in Science in the field of stem cells and bone engineering from the University of Toronto. In 2001, he published the first-ever-reported case of bone regeneration in a human with a stem-cell-growth factor. After graduating with a mountain of debt, he also realized he could generate money from cars, too. 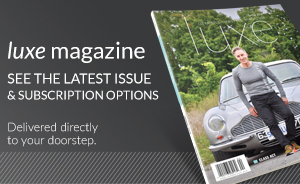 His first car, a 1982 Fiat 2000 Spider, was the car in which he married his wife, Litsa. “I have more pictures of the car than my wife,” he chuckles. Hassan, 49, bought the Fiat for $6,000 and sold it for $10,000. Unlike most who lose money on every car they acquire, Hassan has profited in the pursuit of cars he lusted after. He bought a 1959 Mercedes 190 SL for $30,000 and sold it for $60,000. Later came a 1974 Ferrari 246 Dino bought for $225,000, then sold for $450,000. 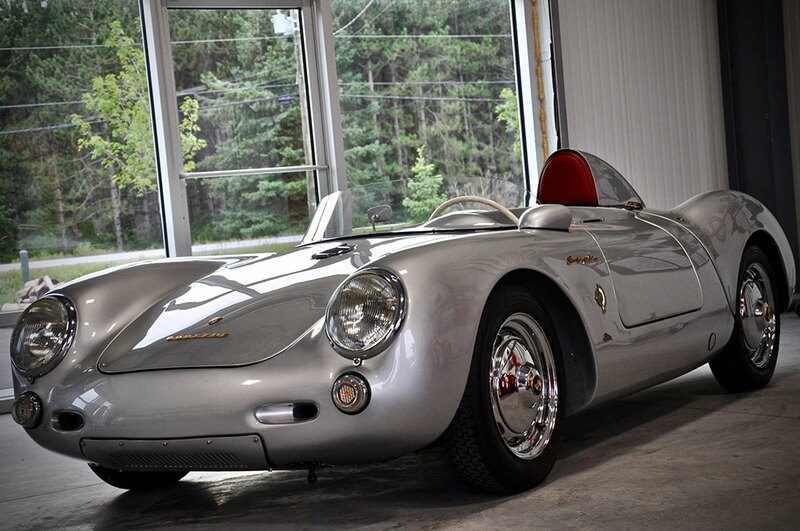 Inspired by the Porsche 356 created by Ferry Porsche, this Porsche 550 Spyder replica is a close example of the original. Hassan seems embarrassed at the figures. He’s actually quite modest about his wealth, but his disease and his work ethic have been a benefit to many outside the car world. He says he loves nothing more than to use his cars to raise money for charity. He has generously and personally given to Roger Neilson House, May Court Hospice, women’s shelters and others, and continues to do so each year. He has also funded a half-million-dollar scholarship at McGill for students who can’t afford to attend. Hassan doesn’t just like to collect cars, he likes to use them to raise money for charity. He keeps his cars in a high-security warehouse. “I told him, ‘That’s what makes the car special. It is a true barn find and a hidden treasure.’ He then got excited and jumped in the car.” Hassan closed the deal for $725,000 and a handshake with the seller, George O’Connell. The car is now worth more than double its selling price, although it has been thoroughly massaged, cleaned and polished. The Mercedes, however, is far from Hassan’s most valuable possession. While most would be more than satisfied with the stunning 1969 Aston Martin DB6, 1990 Ferrari F40 or the 1956 Porsche 550 Spyder replica that also occupy his warehouse, the 1967 Ferrari Dino 206 S Spyder Coupe—one of only 15 ever sold from 18 produced—is easily the biggest jewel in the crown. 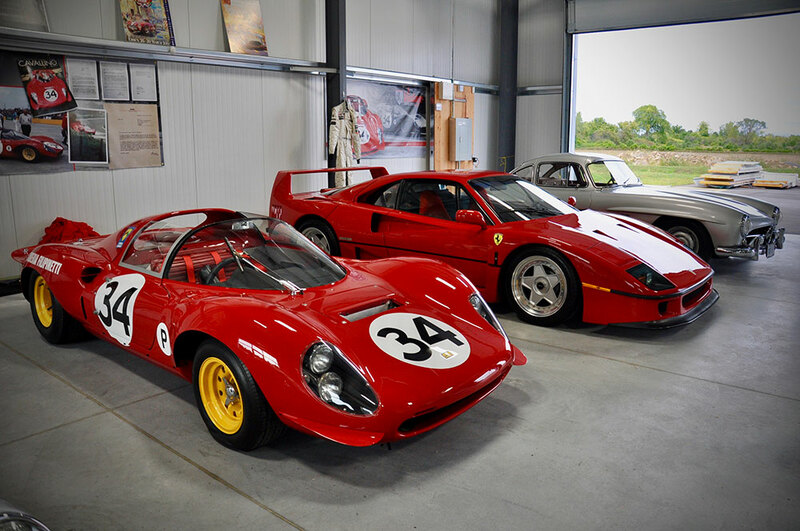 The factory Dino racecar was sold directly by Ferrari to Scuderia Filipinetti in Switzerland and competed as a factory racecar in the 12 Hours of Sebring in April 1967 and then at the Nürburgring. There’s even a book about the car. Purchased at the Pebble Beach Gooding Auction in 2015 for $2.31M US, Ferrari chassis No. 026 could now be worth as much as $5M or more. But, it’s not just the high price that makes this rare Ferrari so alluring. After several minutes of cranking the Dino’s 2.0-litre V6 engine, the sound that erupts from its two exhaust pipes as the engine breaks into an intoxicating roar of fire and mechanical wizardry is like the angry voice of Zeus echoing from dark clouds overhead. This can’t be good for Hassan’s health. But it is good for Ottawa. “I like cars that tell a story,” he says. “I buy them to share them. 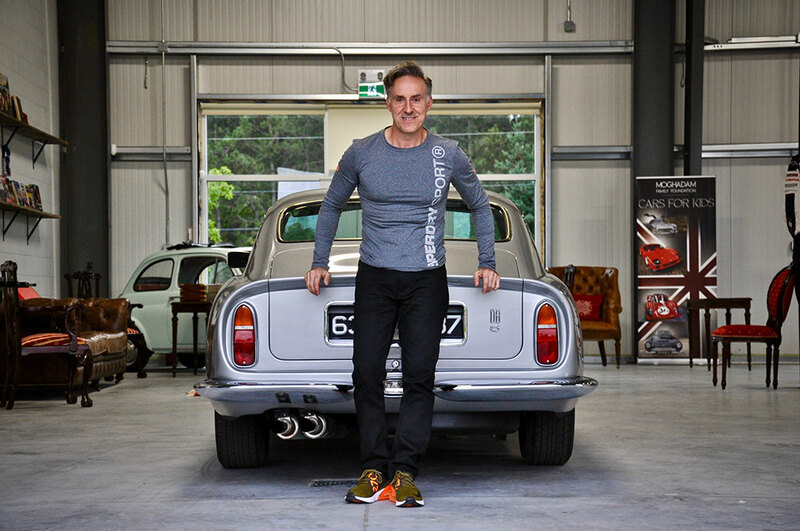 I want to show them.” To that end, he has set up a company called Vintage Motorsports, a casual club of sorts where others who obsess about rare cars can gather and share their vehicular passion. All from a self-made doctor whose own obsession goes a long way to helping others. 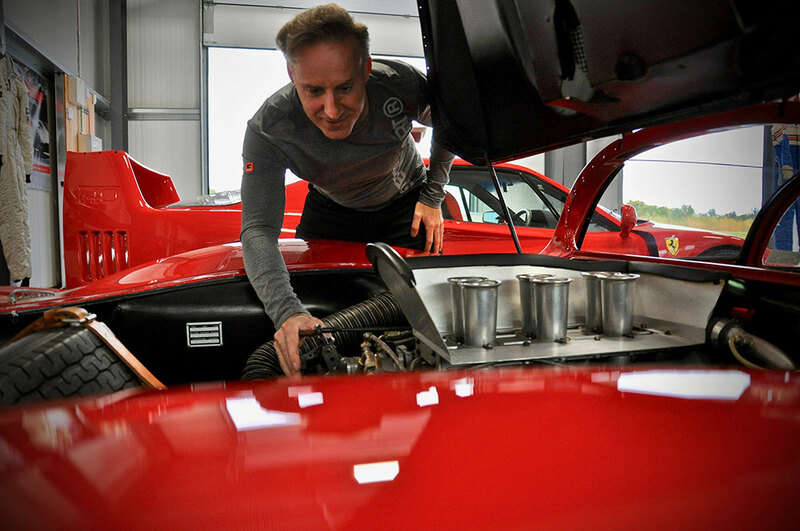 Hassan’s two Ferraris, the 1967 Ferrari Dino 206 S Spyder Coupe and 1990 Ferrari F40, are two of the most sought-after cars in the world.